The Marietta Museum of History sits immediately adjacent to the Gone With the Wind Museum, both on Historic Marietta Square. The Museum's building itself is historic, having been a cotton warehouse in 1845 and converted to a makeshift hospital and morgue in 1855. 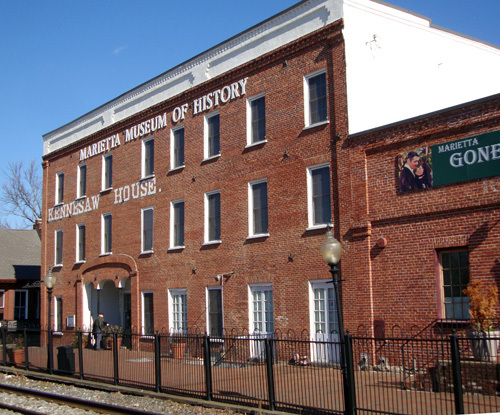 Today, the Museum is home to numerous collections that share with visitors the history of Marietta and Cobb County, Georgia, in exhibits specific to local history, home life, and the military. Immediately in front of the Museum is a working railroad (the original economic cornerstone of Atlanta) and it's only a few steps away from the Marietta Welcome Center.